We are discussing our writing contest today and formulating questions for our contest. I would like us to brainstorm and come up with at least two questions that writers could answer. They should be opinion questions with some depth to them. Submit your questions for evaluation ( by the class) on paper and blog them hear as well. Here are some resources you can read over to formulate your question. How did the death of Lincoln impact the United States after the end of the civil war in terms of civil rights for African Americans? Why Did John Wilkes Boot Want to assassinate Lincoln? John Wilkes Booth shot and killed President Abraham Lincoln on 14 April 1865. During a performance of Our American Cousin at Ford’s Theater in Washington, D.C., Booth snuck into the presidential box and shot Lincoln behind the left ear. Booth leapt down to the stage (breaking the fibula bone in his left leg as he landed) and shouted “Sic semper tyrannis!” (In Latin, “Thus ever to tyrants.”) He escaped with an accomplice and eluded pursuers for 12 days before being cornered in a tobacco shed in Virginia. The shed was set on fire, and in the ensuing confusion Booth was shot by a Union soldier, Sgt. Boston Corbett. Booth was dragged from the shed alive, but died a few hours later. 1 What did John Wilkes do for a living? 3.Who did John Wilkes Booth Kill and shoot? 4. 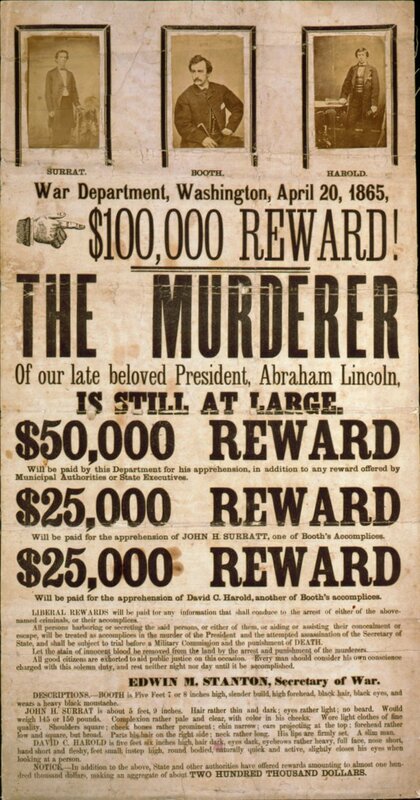 Why did John Wilkes Booth want to kill Lincoln? 5 Who else was supposed to be killed at the same time as Lincoln? 6. What was the name of the theatre that Booth killed Lincoln in? 7. What was the name of the Play? 8. On what side of his head did Booth shoot Lincoln? 9. What happened to booth right after shooting Lincoln? 10. How many days did Booth elude ( avoid) capture? 11. What does the word conspiracy mean? 12. How did Booth die? Hit the comment button and answer these 12 questions. Prizes will be given for those who score 100 and answer in the proper format.